The Southern MD Jazz Orchestra, an all-volunteer organization dedicated to performing contemporary big band jazz, is available for performances for the Southern Maryland arts community. 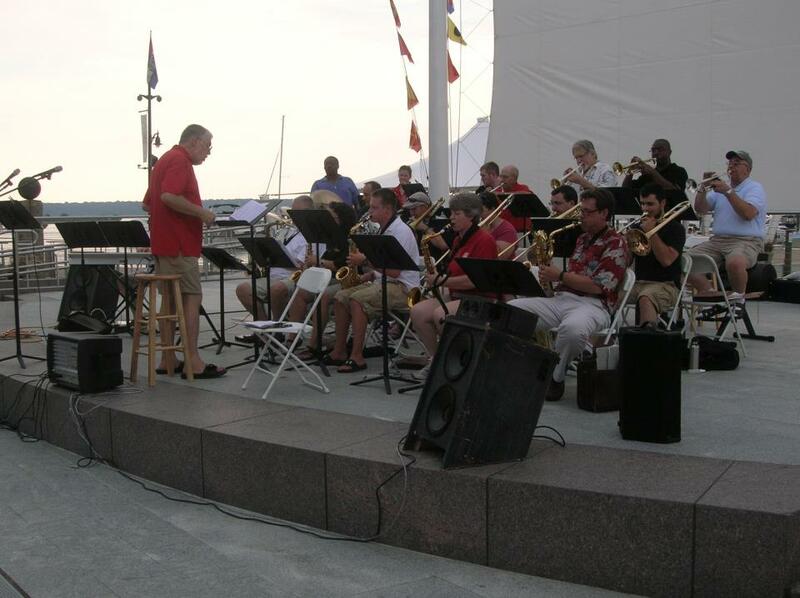 A part of the Southern Maryland Concert Band organization, the SMJO performs jazz, rock, and swing music in the American "Big Band" style and tradition that began in the 1930's and continues right up to the present day. Current repertoire includes tunes by Carlos Santana, Van Morrison, Lady Gaga, the Beatles, Black Eyed Peas, Adele, and others. While the Jazz Orchestra specializes in performances for community events, private performances for weddings, parties, dances, etc. can also be negotiated (given sufficient lead time in which to prepare). Parties interested in booking the SMJO should contact business manager Jean Ort or director Roy R. Jenkins for details and availability. The SMJO is also always looking for possible new members or substitutes. It rehearses on Wednesday evenings at Thomas Stone High School in Waldorf. While the group does have a set personnel, any proficient, capable players of sax, trumpet, trombone, piano, bass, guitar, and drums are invited to occasionally sit in. Contact Dr. Jenkins for information.